Southport Football Club President Alan Mackenzie was last night acknowledged for his contribution to Australian Rules Football in Queensland at the 24th Annual Queensland Sports Awards. Dr Mackenzie was one of three recipients to be awarded a Queensland Government-sponsored Service to Sport Awards for his influence significant contribution to Australian Rules Football in Queensland which spans over four decades with the Sharks. AFL Queensland CEO, Dean Warren, congratulated Dr Alan Mackenzie for his recognition at the Queensland Sports Awards and offer thanks for his continued contribution to the sport in Queensland. “Doc’s contribution to Queensland football has been remarkable. His influence and guiding hand at Southport over more than 40 years has seen the club become one of the most successful and recognised clubs across all states and territories,” Warren told aflq.com.au. 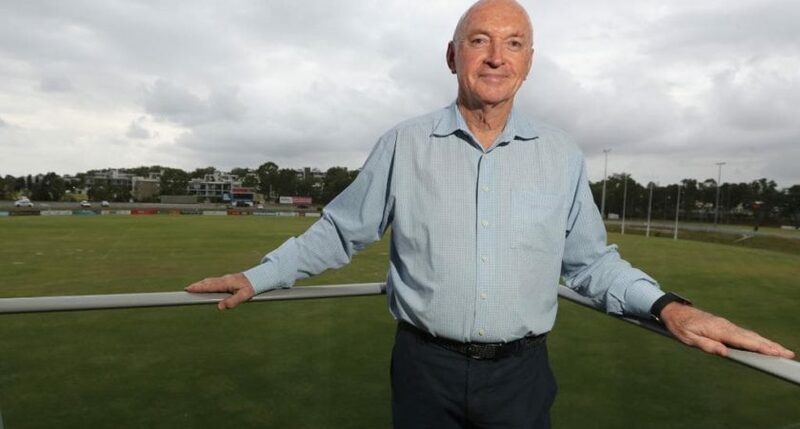 A born and bred Queenslander, Dr Mackenzie’s tenure within the sport began as a foundation player at Sherwood before playing 110 games with Western Districts in the QAFL from 1964 to 1970. After graduating from the University of Queensland with a degree in medicine in 1969, Dr Mackenzie moved to the Gold Coast in the early 1970s where he opened up a medical practice in Surfers Paradise. In 1974, he was elected President of the Southport Football Club – a position he has since held for 44 consecutive years. Under his watch, Southport moved to the QAFL in 1983 after dominating the Gold Coast competition. In 2011, he helped the Sharks’ transition to the North Eastern Australian Football League. Throughout his tenure, Dr Mackenzie has seen his club win a mammoth 19 premierships and has overseen the growth of perhaps the country’s best domestic football operation. Dr Mackenzie is a Life Member of AFL Queensland. In 2008, he was inducted into the AFL Queensland Hall of Fame as legend status. Among his other achievements include the Australian Sports Medal (2000), AFL Merit Award (2003), the Gold Coast Bulletin Sports Award (2003) and in 2012, he was recognised by the AFL and awarded the Jack Titus Service Award.